warning: Creating default object from empty value in /home/kyleq/public_html/archives/modules/taxonomy/taxonomy.pages.inc on line 33. Baby Seats Recalled for Repair by Bumbo International Due to Fall Hazard - Consumers should order free repair kit. WASHINGTON, D.C. - The U.S. Consumer Product Safety Commission, in cooperation with the firm named below, today announced a voluntary recall of the following consumer product. U.S. Department of Health and Human Services- Missa Bay, LLC, a wholly owned subsidiary of Ready Pac Foods, Inc., of Swedesboro, New Jersey is voluntarily recalling a total of 293,488 cases and 296,224 individually distributed units of fruit, vegetable, and sandwich products containing apples, as listed below. Trina Stumpe, the 19 year old daughter of Kevin and Barb Stumpe of Leslie represented the Meramec Community Fair at the Miss Missouri State Fair Queen Pageant today. Madison, Wis – For the fifth consecutive year, American Family Life Insurance Company (AFLIC) is on the list of 50 top-performing life-health insurance companies as selected by consulting firm Ward Group. JEFFERSON CITY, Mo. — The Missouri Department of Natural Resources will hold a public awareness session Aug. 14 on the permitting process for a proposed utility waste landfill in St. Louis County. Vince Lombardi said, "The quality of a person's life is in direct proportion to their commitment to excellence, regardless of their chosen field of endeavor." QuickNewHavenNews is committed in working towards excellence and finding ways to bring more news to our readers. 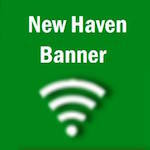 Currently we are working towards making QuickNewHavenNews your one stop site for all news; whether it be ESPN sports, national news from Fox News, or financial/business news from the Fox Business Network; giving you one site, one place, for all your news without changing our focus and coverage of local news is our goal. Montgomery City, Mo. - Peoples Savings Bank is opening the Lobby of their Montgomery City Branch on August 1. The lobby was closed approximately two years ago as a result of business conditions at that time. New Haven, Mo. – At 5 p.m. this evening (Thursday) a small female puppy was found in the 200 block of Douglas Street. The female puppy is currently being taken care of at the New Haven Veterinary Clinic. If you have any information please call the Vet Clinic at (573) 237-7387. New Haven, Mo. –Pastor Herman Otten officially announced in a press release this morning the he will be leaving Trinity Lutheran Church after 55 years. Otten will remain editor of Christian News “To promote 21st century reformation and realignment in all of Christendom." In a “Farewell Address” that Otten had presented in a voters meeting at Trinity Lutheran Church on July 15 announced that he would be leaving Trinity after 55 years as pastor on Easter 2013. He said he wants to give Trinity time to call a new pastor. Few congregations have kept their same pastor for so many years. The IRS, the state Attorney General or even the FBI says you get free money…at least according to a new scam that’s going through the mail in Missouri right now. Attorney General Koster says it’s another scam. The ruse uses fake letterhead designed to look like government correspondence and it tells you that you are eligible for a cash award of some kind. JEFFERSON CITY, Mo. — Groups and youth now have new ways to volunteer in Missouri state parks. The Adopt-a-Park and Youth Volunteer Patch programs have recently been added to the ways people can volunteer to improve Missouri state parks and historic sites. Madison, Wis. July 10, 2012 – Curtis Boyer, an American Family Insurance agent in New Haven, Mo. has been recognized for providing outstanding customer experience under the J.D. Power and Associates Distinguished Insurance Agency Program. Boyer joins other American Family agents who have demonstrated the highest level of commitment to outstanding customer service. Boyer has been an agent for American Family since July, 1998. His office is located at 103A Miller St. New Haven. St. Louis, Mo - If someone claiming to be from Ameren Missouri tells you that the Obama administration has a program to give you up to 15-hundred dollars to pay your electric bill...don’t give them any personal information. Scammers are at it again in Missouri and Illinois. The 58th Annual Franklin County Fair in Union, MO began this evening with the 56th Annual Fair Queen Contest at 6:00 p.m.
Pictured left to right: Chris Fries, Dylan Fries, Brad Zobrist with Pepsi, Bryan Quick, and Brad Quick (Both with Save-A-Lot). New Haven, Mo – Tuesday afternoon Brad Zobrist with Pepsi and Brad and Bryan Quick with New Haven Save-A-Lot officially announced that Chris Fries of New Haven, Mo had won Pepsi’s Katy Perry give-a-way out of 30 participating stores serviced by Pepsi Bottling Company. Hermann, Mo - The Hermann Area Chamber of Commerce held a special meeting late this afternoon to decide whether or not to go forward with their Annual Fourth of July Fireworks display. The Hermann Area Chamber of Commerce Board of Directors released the follow statement this afternoon at 4:50 p.m.
"Due to the dry and hot weather that has affected our area lately, and will continue to do so, the Union Jaycees have made the decision to cancel the fireworks show this year, July 5." New Haven, Mo – QuickNewHavenNews has been and will remain in close contact with city officials about the city’s plan if there were to be a wide spread power outage. Because QNHN is easily accessible from mobile devices, we will be able to provide important information about the expected timeframe the potential outage could last, as well as where cooling stations will be set up.